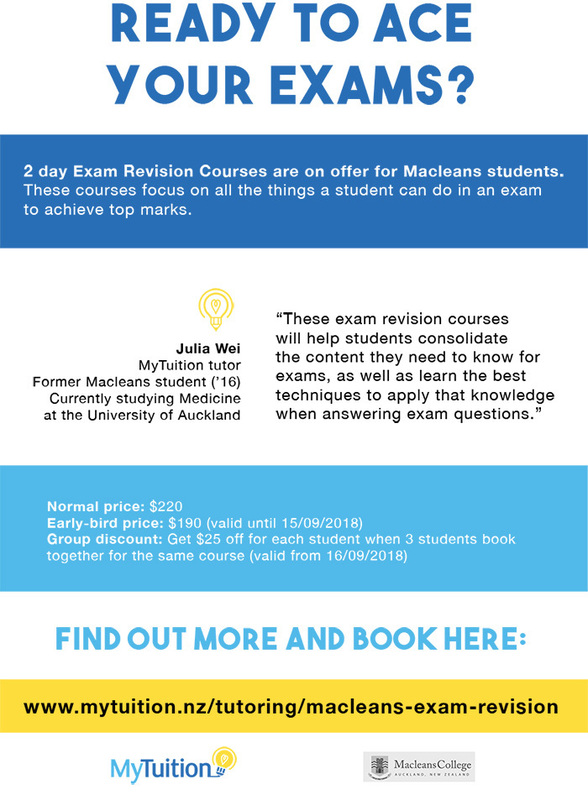 MyTuition is running 2-day Exam Revision Courses for Macleans College students. MyTuition tutors have recently gained top grades in CIE and NCEA, and have designed 2-day Exam Revision Courses to prepare Macleans students to excel in their 2018 exams. Visit the MyTuition to website to find out more and book.